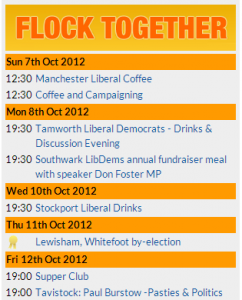 FlockTogether now automatically tweets details of the latest phone banks entered in the system twice a day. Let me know if you have any comments or suggested changes to the way it does it. See this Whitehill Town Council by-election as an example. You need to be logged in and the creator or contact for an event or a system administrator to add them. 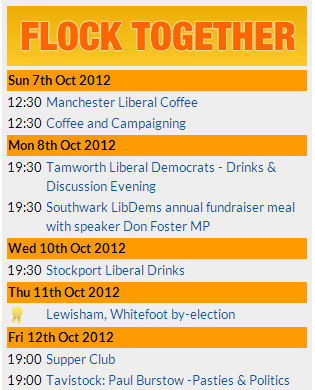 Just to let you know about a new way of accessing ward maps via Flocktogether’s API site. Enter your postcode or the name of a ward and it will let you link through to a zoomable, copyable map. Click on the link in the top left to get an extra large version. Use the selection box at the top left of the map to get a format suitable for printing.